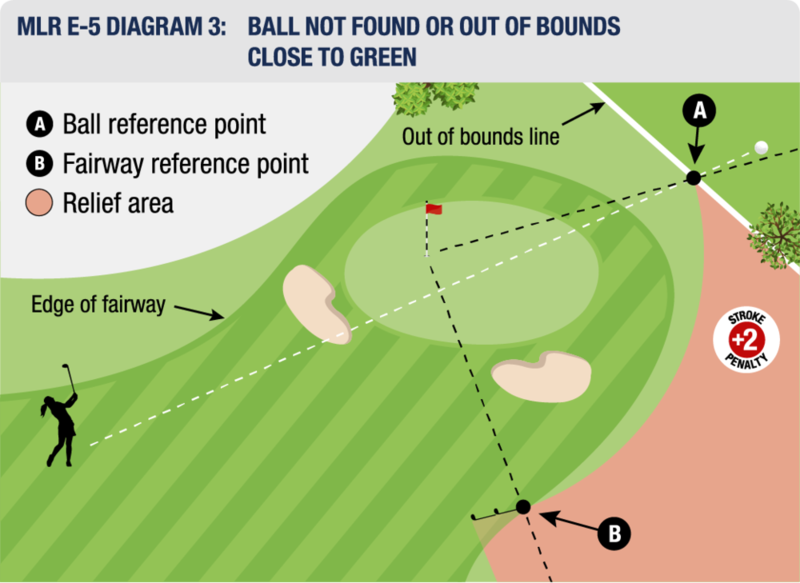 When a player’s ball has not been found or is known or virtually certain to be out of bounds, the player may proceed as follows rather than proceeding under stroke and distance. Last crossed the edge of the course boundary to go out of bounds. (b). Fairway Reference Point: The point of fairway of the hole being played that is nearest to the ball reference point but is not nearer the hole than the ball reference point. For purposes of this Local Rule, "fairway" means any area of grass in the general area that is cut to fairway height or less. A line from the hole through the fairway reference point (and within two club-lengths to the fairway side of that line). Must not be nearer the hole than the ball reference point. The original ball that was lost or out of bounds is no longer in play and must not be played. 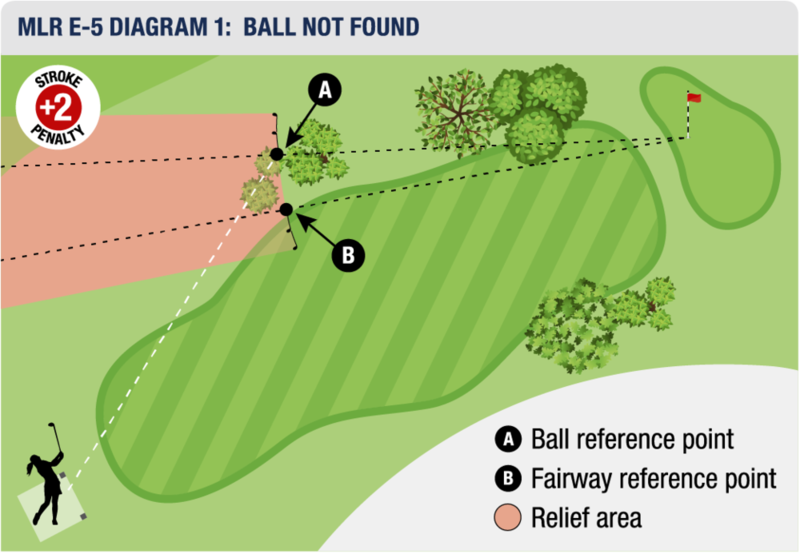 This is true even if the ball is found on the course before the end of the three-minute search time (see Rule 6.3b). The player has played another ball provisionally under penalty of stroke and distance (see Rule 18.3). A player may use this option to take relief for a provisional ball that has not been found or is known or virtually certain to be out of bounds. Penalty for Playing Ball from a Wrong Place in Breach of Local Rule: General Penalty Under Rule 14.7a."